We value the principal of building a business by creating promoters of our flooring & interior company. 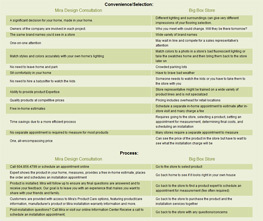 On every completed job we solicit feedback from our customers and ask them “The Ultimate Question” made popular in 2006 by Fred Reichheld, which is: “on a scale of 1-10, (10 being absolutely and 1 absolutely not) would you recommend MIRA Floors & Interiors to your friends / colleagues?” >95% of our customers on an annual basis have scored us a "10" when it comes to their happiness with their flooring installation or other interior project. All of us at MIRA are proud of our Net Promoter Score and continue to look for ways to give our customers outstanding value, and build loyalty through exceptional experiences. 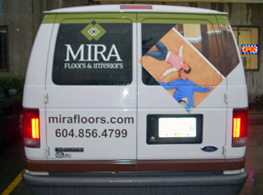 As you learn more about us through our website we believe you will discover that giving MIRA Floors & Interiors the opportunity to earn your business is a reliable choice for experiencing unsurpassed value in the flooring and design industry.